If you know where to sit at the table and what to eat the day before the big feast, you won’t gain weight this weekend. Susan Roberts on four holiday diet tricks. For many dieters, the holidays are a time for giving up. Faced with a six-week neverending onslaught of fattening foods, you know you can’t win, so you resign yourself in advance and then let yourself go. The typical adult gains between five and eight pounds in the short interval between Thanksgiving and New Year’s, the equivalent of eating about 20,000 excess calories, or 550 calories a day beyond what you need to maintain weight. Will you be able to avoid putting on pounds over the next six weeks if you resolve to watch each and every bite? It’s possible, but not likely—unless you know good ways to limit the damage. A big crowd at dinner? Add 35 calories per seated guest. Eating in front of the football game? Yet another 140 calories. Take the Thanksgiving meal, when, according to various studies, we eat about 3,000 calories to kick off the season. The huge piles of food in our presence on that day cause unconscious overeating, because the sight and smell of abundance triggers real metabolic signals of hunger and expands our stomach so that we need to eat more to feel full. Then there is the food itself. The defining characteristic of traditional holiday items like stuffing, traditional gravy, yams, and pie is that they’re all extremely high in calories and low in fiber. In other words, they’re the perfect mix of nutritional factors to cause a deficiency in satiety, meaning that you have to eat huge amounts of these foods before you feel good and full. Having a greater than usual variety of foods on the table is another part of what makes Thanksgiving special—add 400 calories or so for the privilege of all this choice. A big crowd at dinner? That's another 35 calories per seated guest, so with 11 bodies at the average Thanksgiving table you’ll probably eat an extra 400 calories without even realizing it. Music on the speaker system? 100 more calories on top. Eating in front of the football game? Yet another 140 calories, according to the best research. These “social facilitators” of overeating—more omnipresent during the holidays than virtually any other time—are so effective at increasing spontaneous calorie intake that nursing homes, where weight loss is often a problem, are starting to use them to increase their patients’ calorie intakes. • Jace Lacob: DVD Rentals for Thanksgiving Cranks• A-List Chef Thanksgiving• Christopher Idone: Turkey Day BacchanalThen there are the after-effects of overeating. Studies have shown that, after eating particularly delicious food you can expect to be hungrier and eat more at your next sitting. Mechanistically, this probably happens because our intestinal processes speed up for great food, emptying our stomachs more quickly. What nutrition scientists call the “second meal” effect would have served us well long ago during leaner times by allowing us to overeat when there was a rare over-abundance of food. Today, however, it creates a negative cycle of having one great meal and then not being able to snap back to more sensible eating, especially when you’re attending party after holiday party. 1. Start Before Thursday Even if you’re not the one cooking, you’re not at the mercy of your holiday host, especially if you pre-game starting a day or two ahead. One foolproof way to prepare for a particular impending feeding frenzy is to add to your regular meals two or three half-cup servings of a high-fiber cereal like Fiber One Original or All Bran Extra Fiber beginning one or even two days before the big meal. Don’t make the mistake of eating light before Thanksgiving to bank calories—that’s exactly what will cause overeating. Instead, give yourself this satiety-boost to gain fullness and control. When dinner is served, you’ll automatically want to eat far less. 2. Micromanage the Table Surreptitiously controlling your food microenvironment when you do sit down to eat makes a huge difference as to how much goes in your mouth. So as you take your seat, bear in mind that short, skinny neighbors will serve themselves smaller portions and tempt you to eat less than tall, overweight, or athletic ones. If you can't sit next to a featherweight, at least keep the high-calorie foods and alcohol moving down the table away from you, making sure it doesn’t end up within reach. Multiple research studies have shown that the proximity of food determines how much you load onto your plate, so even simple steps like this can be a big help. 3. Skip the Boring Stuff Every holiday meal has some high-calorie things you don't particularly care for. By not looking at, smelling, and especially tasting even a single bite of the mundane items, you avoid revving up metabolic hunger signals unnecessarily and can save hundreds of calories. As for work parties and other events where the food is simply all-around poor, eat something satisfying before you go and keep a glass of seltzer in your hand for a zero-calorie event. 4. Recover Control the Very Next Day Yes we have the metabolic effects of feasts like Thanksgiving that make us hungry for another good meal, and then another, but that doesn't mean you’re helpless. The key to nipping negative cycles in the bud is doing recovery activities in the right order. Although cutting out high-calorie treats starting the next day might seem like the right place to start, in fact this superficially easy route frequently leads to failure because you get hungry and then overeat when you get hungry again. The key here, in my clinical experience, is to recover satiety first. Put yourself on a high-fiber regimen the very next morning—high-fiber cereals, legume dishes, and low-carb, high-fiber breads are best—and see how quickly you lose the urge to overeat. With some good satiety under your belt, you are ready to start eating healthy stuff again and will be better able to keep those pounds from sticking around your middle. 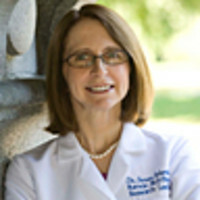 Susan B. Roberts is professor of nutrition and professor of psychiatry at Tufts University and author of the Beast-endorsed Instinct Diet weight-loss program (The Instinct Diet, Workman 2008, and The "I" Diet, Workman 2010). Weight loss on the Instinct diet averages 16 pounds in eight weeks and 30 pounds in five months.